Nationals outfielder Michael A. Taylor will miss "a significant amount of time" due to a sprained left knee and sprained left hip, manager Dave Martinez said Friday. 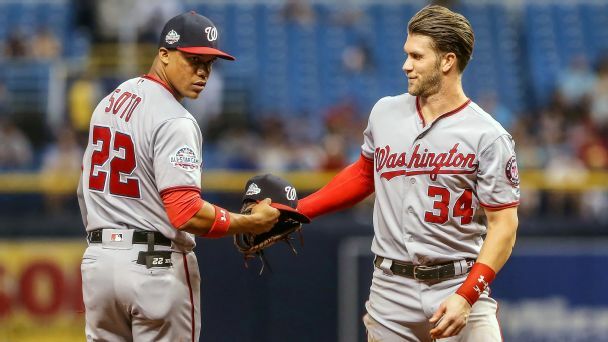 Record-setting 19-year-old Juan Soto has earned the respect of his Nats teammates -- and a Ruthian nickname. 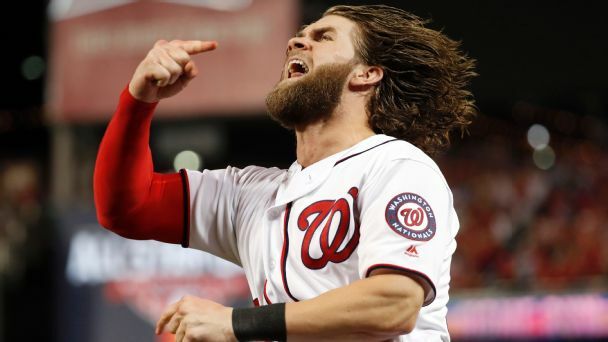 If Bryce Harper goes, he could soften the blow. 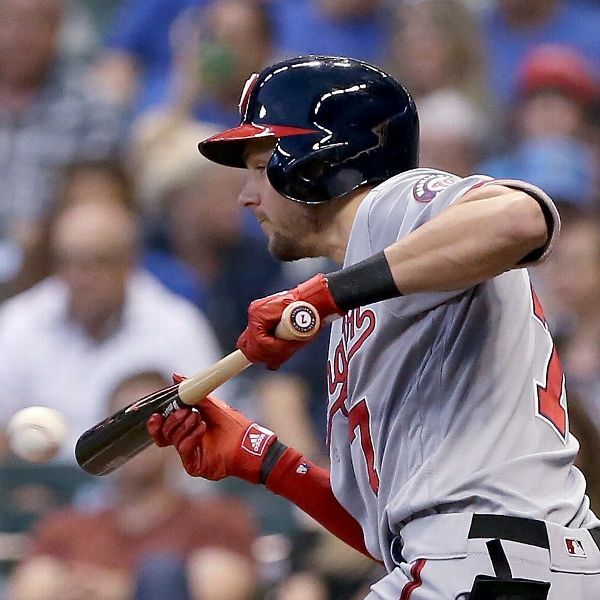 Trea Turner was not in Tuesday's starting lineup a day after angering Nationals manager Dave Martinez when he failed to run to first base after a pitch hit his bat and landed in fair territory. 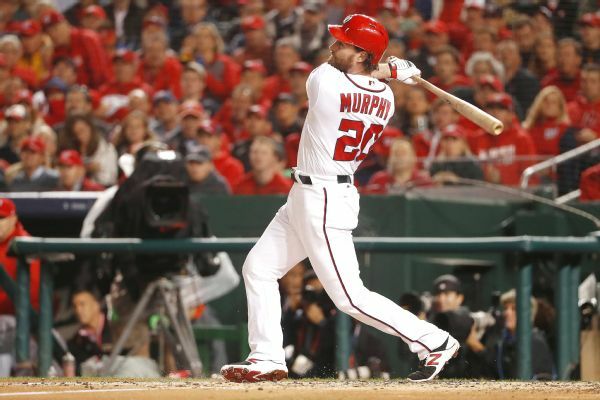 Knee rehab likely to keep Nats' Murphy in Fla.
All-Star second baseman Daniel Murphy is likely to remain behind in Florida when the Washington Nationals break camp. 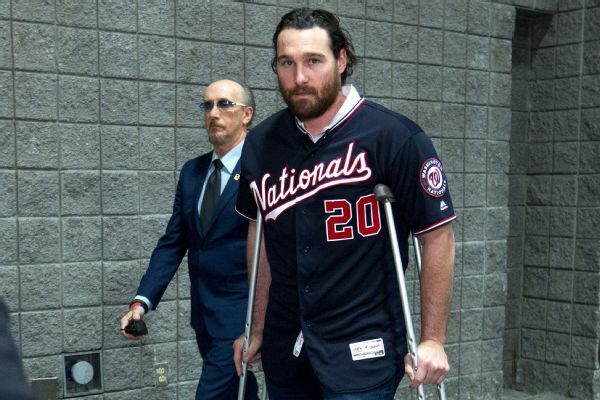 The Nationals' Daniel Murphy, who had microfracture surgery in October, said it's reasonable to expect that he won't be ready for Opening Day. The 2015 MVP is soon to be done in D.C. Or is he? 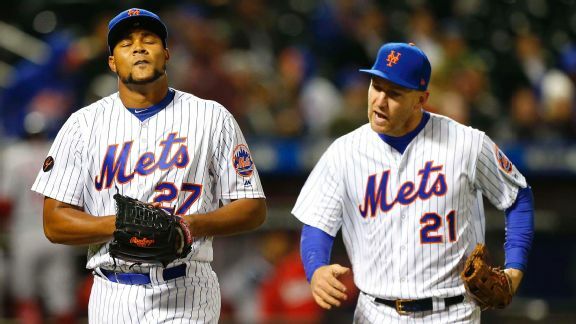 Either way, Washington has work to do this winter -- and beyond -- in the superstar's walk year. 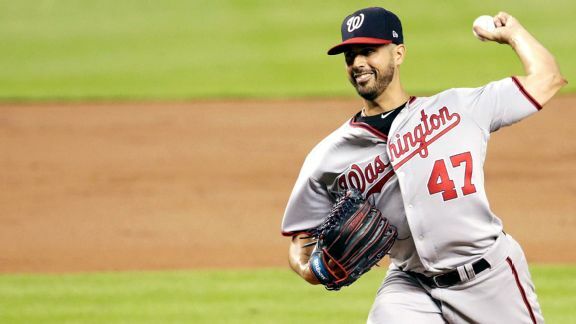 It's easy to see why Washington trusts Gonzalez in its high-profile rotation: Because there's method to his magic. 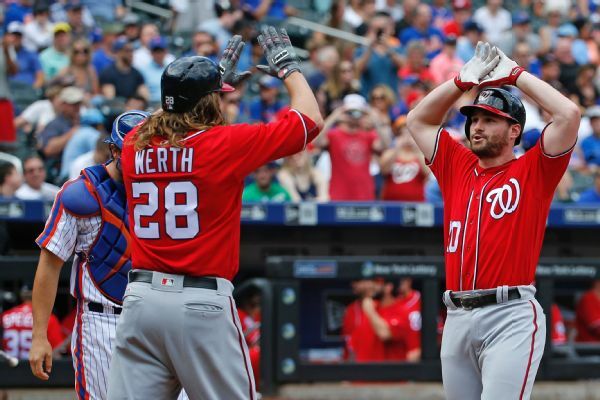 Outfielder Jayson Werth, who missed five games with a sore shoulder, will return to the lineup for the Nationals on Wednesday night.